Enjoying a stately view over Centennial Park and Paddington is super luxe salon Dessange. In France, the salon chain is synonymous with luxury, style and personalised service, partly due to their close ties with French celebrities and the fact that they are official sponsors of the Cannes Film Festival. 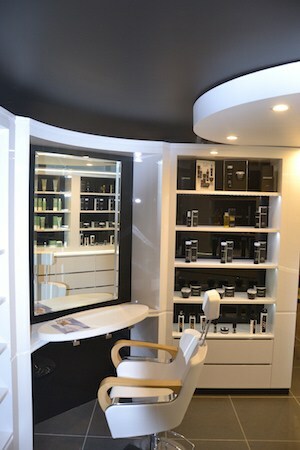 With 450 salons in 45 countries, this is the first Dessange in Australia, with more slated to follow. 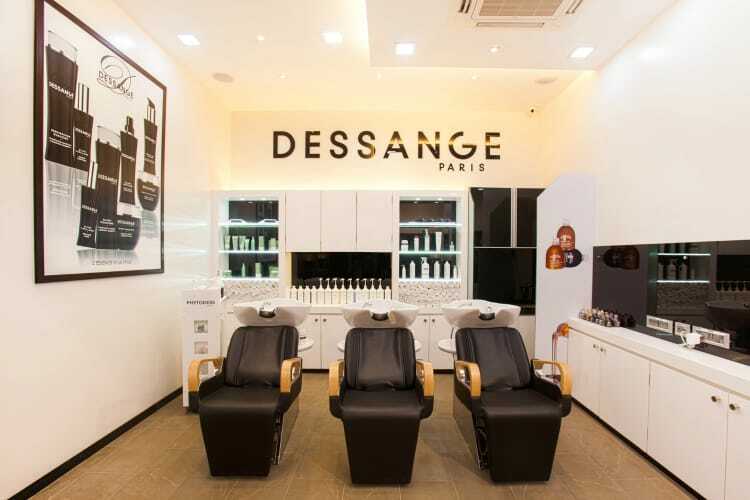 Part of the Dessange experience is to have a full beauty service including nails and makeup. 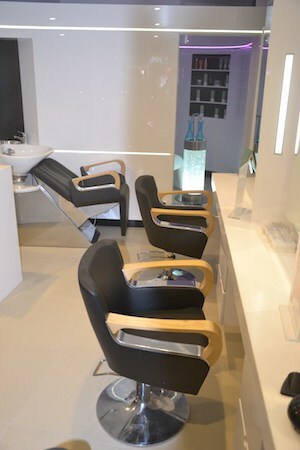 Some of the salons worldwide have a day spa attached, and Dessange Paddington have beauty treatments on offer, too. All the products used are by Dessange from skincare, hair care and styling, to makeup and nails, so you can experience full brand immersion from start to finish. Caroline shows me through to the makeup application area where each client is zhushed post ‘coif before their emergence back into the world, and past the men’s barber area where two handsome men are chatting away casually. As I look around, it seems everyone who works here is both gorgeous and French. We ascend the staircase, past the second level for cuts and colours to the top privé level – reserved for key clients and special appointments. I’m introduced to my dream team who are going to transform this tired mummy-to-be over the next few hours. Katel, my cutter, and I have a chat about the snip and we decide to do a long bob that finishes just below the collarbones, with slight layers. It’s low maintenance, and perfect for a new mum. Then Manu, my colourist, introduces himself. We discuss my colour and, when I tell him I am going to struggle to make it to the salon with a newborn, he suggests toning the blonde and touching up the roots blending it with chestnut and gold, so that my colour will be more low maintenance when bub arrives. As he sets to work painting in the colour freehand, Florine gets to work on my neglected feet, soaking and scrubbing them to pedicure perfection. Then Laura emerges to do my manicure. With my team of four beauty professionals, dedicated to preening me into a much shinier version of myself, I can’t help but feel a bit like a celebrity. All the while I’m fed green tea on demand and delicious little gingerbread biscuits. A couple of hours later, as Manu blowdries my shiny, sharply snipped new hair and I admire my newly minted fingers and toes, I feel renewed. Ready to take on the world again. My last stop, is a makeup application with Laura on the way out. It’s the ultimate finish to a highly personalized experience – and one that I’ll definitely be seeking out again. It’s the ultimate finish to a highly personalized experience – and one that I’ll definitely be seeking out again.